DESTINY ESTIMATE has been supported by The Pew Center for Arts & Heritage (www.pcah.us). Myles is trying to decide what to think about destiny. They’re trying to figure it out while they mourn their father, their uncle, their childhood best friend, and their roommate. They’re wondering why some funerals are huge and long and full of things to say and others are very, very small. 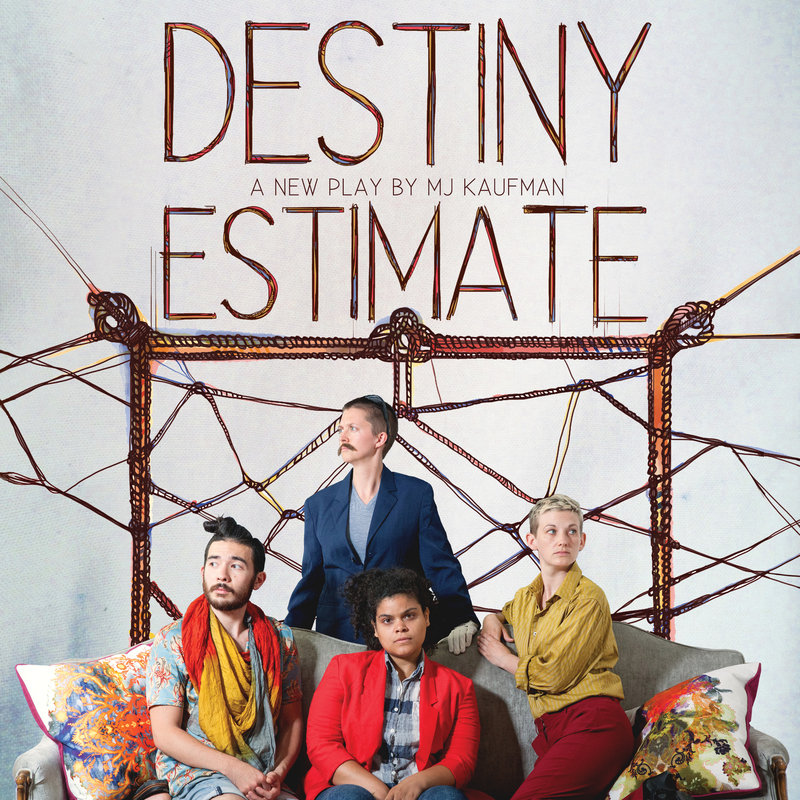 DESTINY ESTIMATE, a play with movement and song, is about the deaths we memorialize and the ones that remain invisible. It’s about Louisa May Alcott and the Greek fates and Mother Courage. Most of all, it’s about asking how stories affect our beliefs and how in turn those beliefs can govern our lives. PLEASE NOTE: Due to seating configuration, there will be NO late seating for this show.